Having gone to the foot of a gorge last week, we’re on the top of something similar - and we’re still on the Carboniferous limestone, only on the other side of the Bristol Channel. We’re at Symonds Yat Rock. 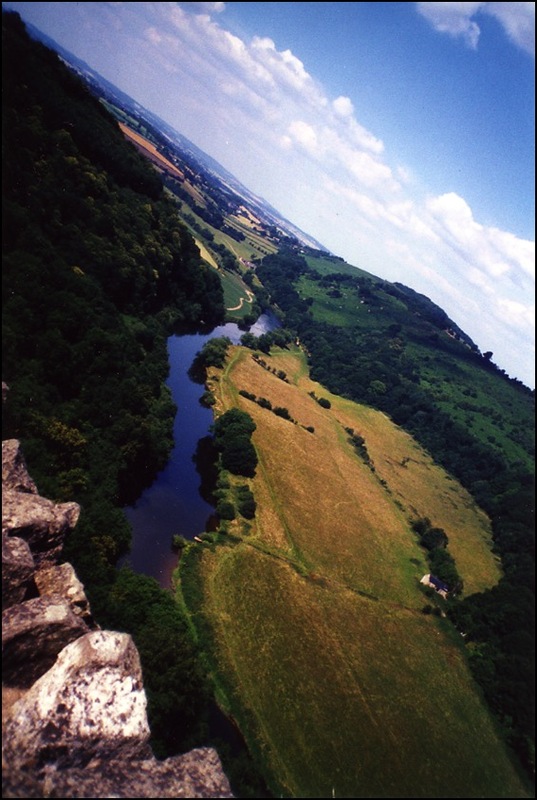 Again, it’s not, strictly speaking, a lay-by - more of a car park that leads to a view - but it’s only a very short walk and thousands come every year to see the view up and down the River Wye. It’s home also to Peregrine Falcons, Buzzards and Goshawks and is well worth the detour. It also makes an excellent place to watch the stars at night, according to some. No Google Street View this time, but an OpenStreetMap image. The British Landscape Club is an organisation dedicated to the quiet contemplation of our scenery. The official manual of The British Landscape Club is now available from Amazon, Waterstones and Pickabook, as well as your local independent bookstore. To order and pick up from your local bookstore via the Hive Network website, click here. For signed and inscribed copies direct from the author, click here.